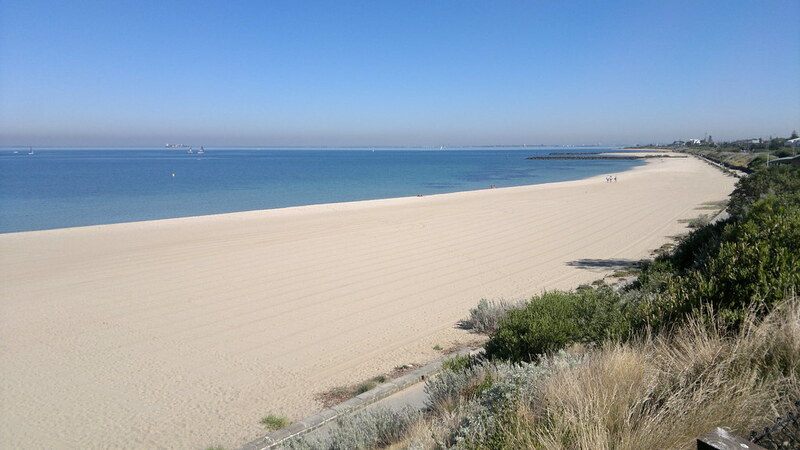 The bayside suburb of Beaumaris fronts the waters of Port Phillip, between Black Rock and Mentone. The main commercial hub of Beaumaris is the Concourse Shopping Centre which is located off Reserve Road. It consists of a supermarket and strips of shops along North, South and East Concourse. There’s a central car park which adjoins a large shady reserve that fronts Reserve Road with lawns and picnic tables. Other smaller commercial centres can be found at the junction of Keys Street where it meets the coastal boulevard of Beach Road, and two local shopping strips along Balcombe Road. Beaumaris situated on a headland that almost surrounds the entire suburb on three sides by water, with its southern extremities at Ricketts Point and Table Rock Point. A pedestrian and bicycle trail follows the entire length of the Beaumaris coastline, along the clifftops and beaches. The section of coastline that extends from the west and down to Ricketts Point is the most popular with visitors. There is ample car parking, the iconic beachfront Ricketts Point Teahouse and shady lawns with picnic and BBQ facilities. The beach in this area consists of wide stretches of sand, with the shallow waters making it ideal for safe swimming. There are several rock platforms which extend out into the bay and form part of the Ricketts Point Marine Sanctuary. The Beaumaris Life Saving Club fronts a shallow sand bar just east of Ricketts Point, creating a safe and quiet area with a thick bush backdrop. The coastline from Table Rock Point and eastwards, which overlooks Beaumaris Bay, mainly consists of cliffs with native bushland along their tops and scattered pockets of sand at their base. The Beaumaris Motor Yacht Squadron has it base along this section of the coast and the complex includes a function centre, jetty and boat ramp. At the northern tip of Beaumaris Bay, the coastal rocks give way to wide sandy beaches which stretch eastwards to Mentone. Cheltenham is a suburb in Melbourne, Victoria, Australia, located 18 km south-east of Melbourne’s central business district which is currently undergoing significant gentrification and development. Its local government area is the City of Kingston to the eastern side of the area’s metropolitan railway line and Charman Road north, while the City of Bayside presides over the suburb’s western region towards extensive golf links, parks and Port Phillip Bay. The Kingston centre is a large aged care and rehabilitation facility which opened on Warrigal Road, Cheltenham, in 1911 as the Melbourne Benevolent Asylum. It was known as the Cheltenham Home and Hospital for the Aged from 1965 through to 1970, before it was renamed to the Kingston Centre. Cheltenham is home to sporting facilities and clubs. Sports played in the area include soccer, golf, cricket, Australian Rules football, lawn bowls, baseball and swimming. There are a number of golf courses in Cheltenham; Cheltenham Golf Club on Victor Avenue which has nine holes however can be played as an eighteen-hole course from different tee boxes, Sandringham Municipal Golf Links on Cheltenham Road, and the Victoria Golf Club on Park Road. Cheltenham is home to the shopping centre Westfield Southland, located in the northern part of Cheltenham. The centre was opened in 1968 and it featured a couple of stores. Since its opening, the shopping centre has been continually expanded over the years resulting in a multi-level retail bridge across Nepean Highway to a newer site. Southland now features up to 416 stores including 3 department stores, 3 discount department stores, 3 supermarkets, 3 electrical retailers and a 16 screen Village Cinemas Multiplex. The bayside suburb of Sandringham overlooks Port Phillip and is situated between Hampton and Black Rock. Sandringham was originally known as “Gypsy Village” back in the days when it was little more than a fishing village based around Picnic Point. These days, it is a well-established suburb, with the village feel of its commercial centre being preserved along Station Street with its iconic palm trees. Shops also extend into neighbouring Melrose Street, Waltham Street and Bay Road. Small local shopping strips can be found at several locations along Bluff Road. 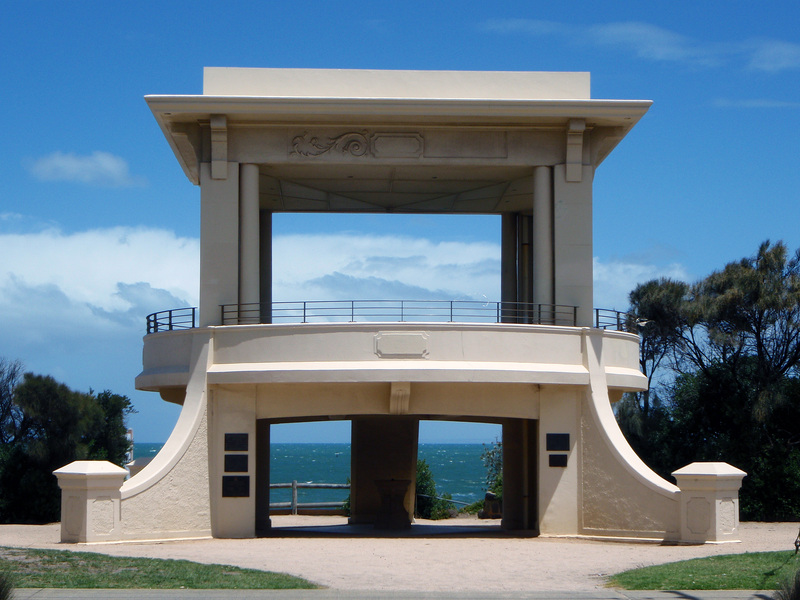 A landmark on Sandringham’s foreshore is the band rotunda, situated directly opposite the Sandringham Hotel on a clifftop overlooking the beach. Built in 1926, the rotunda is surrounded by palm trees, lawns and gardens, with scenic views available from its upper level. The Sandringham Life Saving Club is located further north along the beach, fronting a safe swimming area where no boating is permitted. The coastline towards the south consists of stretches of sandy beaches at the base of rocky cliffs. Pathways and clifftop parks line this section of the coast, providing scenic views towards the rocky outcrop of Red Bluff and across Half Moon Bay towards Black Rock. At the northern end of Sandringham is the coastal feature of Picnic Point where there is a sports oval and several sporting clubs. Follow Jetty Road on its journey down to sea level where there are boating clubs based around a harbour and breakwater. Visitors can stroll along the length of the breakwater, watch boats coming and going from the marina, and enjoy panoramic views along the coast and across the bay. Next to the Hampton Sailing Club is Hampton Pier which extends alongside the boat harbour and from which there are northerly views along the coast towards Hampton and Brighton. Moorabbin is a suburb in Melbourne, Victoria, Australia, 15 km south-east of Melbourne’s central business district. Its local government area is the City of Kingston. Most of the eastern side of Moorabbin has been an industrial area since the first development in the mid-1960s. Major industries with a presence in the area include Philip Morris and Coca-Cola. Moorabbin is also well known locally for its residential area built after World War II. While by name Moorabbin would appear to be home to the regional general airport Moorabbin Airport, the airport, also called the Harry Hawker Airport, is its own suburb, sharing the postcode of 3194 with Mentone. Moorabbin is serviced by a variety of Public Transport Victoria bus and train services including Moorabbin Station. Housing in Moorabbin comprises mainly 3-bedroom red or cream brick detached houses built between the 1950s and 1970s. More recently villa units and townhouses have been built. The suburb has an Australian Rules football team, Moorabbin Kangaroos Football Club, competing in the Southern Football League. The football and cricket venue in the suburb is Moorabbin Oval, located in Linton Street. The ground was used by the St Kilda Football Club in VFL/AFL games between 1965 and 1992, and continued to serve as its training and administrative home ground until 2010. St Kilda Football Club is scheduled to return in 2018. The beach-side suburb Hampton is located 15 kilometres south of Melbourne on Port Phillip, between Brighton and Sandringham. The strip of shops along the thoroughfare of Hampton Street is one of Hampton’s major attractions. Stretching from South Road in the north to over one kilometre south at Crisp Street, this retail shopping precinct features restaurants, bistros, clothing stores, antiques shops and personal services. Smaller local shopping strips can be found along Bluff Road. Hampton offers visitors safe swimming along a wide stretch of sandy beach which features several groynes extending into the sea. The foreshore reserve provides BBQ and picnic facilities and is attractively landscaped with grassy strips, palm trees and a walking and bicycle path. The coastline at the southern end of Hampton’s beach consists of a cliffs overlooking the bay that provide panoramic coastal views, particularly southwards to Picnic Point in Sandringham with its boat harbour and pier. The B.J. Ferdinando Gardens, located at the top of the coastal cliffs opposite Small Street, include a BBQ shelter, picnic facilities and extensive lawns. These gardens area a popular venue for wedding photos due to its scenic backdrop. Hampton East, which is wedged between Bluff Road and the Nepean Highway, includes a selection of retail outlets fronting the highway, across the road from the commercial centre of Moorabbin. The G.L. Basterfield Park, accessed via Dane Street, consists of an ornamental lake surrounded by grassy slopes, gardens, flowers and trees. Brighton is one of Melbourne’s most exclusive suburbs, located south of the city between Elwood and Hampton and fronting Port Phillip with its stretches of beautiful sandy beaches. Brighton is well serviced with a diverse selection of separate shopping precincts. The major centre of Brighton is situated along Church Street and offers supermarkets, a cinema at the Dendy Plaza Shopping Centre and a selection of high-end fashion and beauty establishments. Bay Street in North Brighton is a historic shopping strip where cafes and restaurants blend in with fashion and gift shops. Near the Gardenvale station is Martin Street where there’s a mix of gourmet food outlets and contemporary retailers. And finally, the coastal thoroughfare of The Esplanade is dotted with a selection of hotels and a small commercial hub opposite the Middle Brighton Baths. With almost 6 kilometres of coastline within Brighton’s suburban boundary, there is a diverse range of attractions and activities for all. A pedestrian and bicycle path runs along much of the foreshore, lined with palm trees, gardens and open lawns. The Middle Brighton Pier leads to a large marina facility and adjacent to that are the Middle Brighton Baths. These historic sea baths have been enjoyed by visitors since 1881 and the complex includes a cafe, restaurant, gymnasium and function facilities. Designated areas of Brighton’s beaches are used by windsurfers and water skiers. The most famous spot on Brighton’s coastline is the Dendy Street Beach. 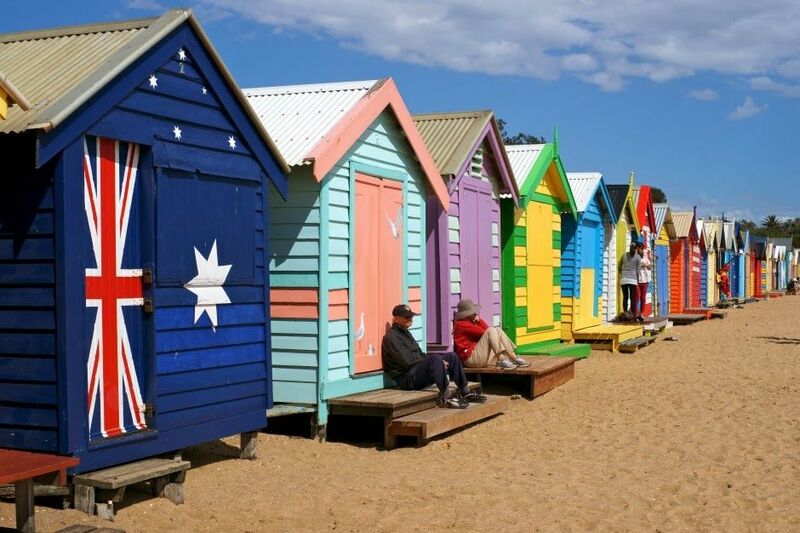 The colourful bathing boxes which line this stretch of coast are a well-known Melbourne icon and reflect a bygone era where swimmers and visitors to the beach had private changing and storage facilities. Good views of the bathing boxes and Melbourne’s skyline can be enjoyed from the gardens at Green Point. Visitors can appreciate Brighton’s beautiful gardens and historic architecture at a number of locations in the suburb. The Brighton Town Hall Precinct, on Carpenter Street, includes the impressive facade of the town hall building, surrounding lawns and rose garden. The local council offices, a library and theatre are located on the site. The Billilla Historic Homestead in Halifax Street features beautiful gardens which are open to the public. Kamesburgh is a grand Italianate mansion on North Road, set within formal English gardens and water features. Elsternwick Park, which borders the neighbouring suburb of Elwood, consists of a series of lakes surrounded by gardens, playgrounds and sporting ovals. Elwood is an inner suburb of Melbourne, Victoria, Australia, 8 km south of Melbourne’s Central Business District. Its local government area is the City of Port Phillip. Elwood Beach is a popular bayside beach destination during summer, where the beaches are used recreationally for windsurfing, cycling, cricket and walking. The suburb has experienced ongoing gentrification, known for its mix of Edwardian and Interwar architecture character, its beaches and its leafy streets, many of which are lined by London Plane trees. For such a leafy suburb, Elwood is highly built up and lacking in open space. The most popular and largest reserves are bayside, including Elwood Beach, Elwood Canal, and Point Ormond Reserve. Elwood is not without environmental issues, however. The beach and canal frequently suffer from litter pollution and the canal has a distinctive smell resulting from the backflow of seaweed. However, the local council has strategies in place to manage these issues. Elwood is known for its mix of Victorian mansions, Edwardian cottages and interwar apartment buildings. Infill development in recent decades has changed the character of the suburb, however some examples still remain.